SERC Reliability Corporation (SERC), located in Charlotte, North Carolina, is a nonprofit regulatory authority that promotes effective and efficient administration of bulk power system (BPS) reliability in all or parts of 16 central and southeastern states. SERC’s jurisdiction includes users, owners, and operators of the BPS within the SERC footprint, known as the SERC Region. On July 20, 2006, the North American Electric Reliability Corporation (NERC) was certified as the Electric Reliability Organization (ERO) in the United States, pursuant to Section 215 of the Federal Power Act. As the ERO, NERC may delegate authority to Regional Entities to monitor and enforce NERC Reliability Standards. NERC and the Regional Entities work to safeguard BPS reliability throughout North America. As one of eight Regional Entities, SERC is delegated to perform certain functions from the ERO and is subject to oversight from the Federal Energy Regulatory Commission (FERC). SERC promotes and monitors compliance with mandatory Reliability Standards, assesses seasonal and long-term reliability, monitors the BPS through system awareness, and educates and trains industry personnel. SERC is divided geographically into five diverse sub-regions that are identified as Central, Delta, Gateway, Southeastern, and VACAR, as shown on the following map. 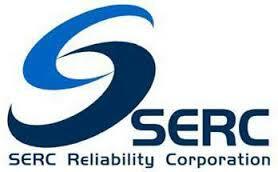 The SERC Region covers an area of approximately 560,000 square miles and serves more than 53 million customers.